Nestled on .34 acres, this home is located in beautiful Harrisburg. The welcoming front porch has room for a cozy sitting area. Formal dining room with chair molding. Spacious great room featuring a gas log fireplace and tons of natural light. The kitchen has white cabinetry, breakfast bar, pantry, and breakfast area overlooking backyard. Make sure and check out the 'Man Cave'. This area provides the perfect flex space and could be used for a game room, play area, or 4th Bedroom/Bonus (there is a closet). The master bedroom is an owner's retreat with tray ceiling and a walk-in closet. Master bath with garden tub, separate shower, and dual vanity sinks. 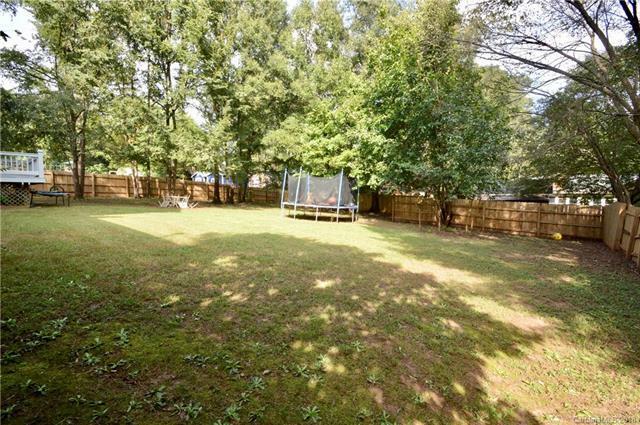 The fenced backyard is huge and a great for kids to run and play, gardening, or entertaining friends and family. This home is within walking distance to Harrisburg Park and a variety of shops. Harrisburg Schools, Home Warranty, and no HOA. Rare opportunity to live in Harrisburg at a great price. Come and see this home today!